The value of the individual components depends on the level of world oil prices (Annex 1) and the region of the Russian Federation, where oil production. Cost of oil production in major producing countries Russia is somewhere in the middle: Saudi Arabia – 3,0 $/bbl., USA (Gulf of Mexico) of 14.5 $/bbl, Russia – 5,4 $/bbl. It should be noted that these data reflect the current state. For Russia due to depletion of deposits of Western Siberia and the transition to offshore fields in production costs may increase significantly (Annex 2). The transport component in the price of petroleum products varies from 8% (Samara) to 26% (Kamchatka). The causes of such differences due to spatial location of the refining industry. From 7 Federal districts, 4 are in short supply: the far Eastern, North-Western, southern and Ural Federal district refineries at all. Therefore, the majority of subjects of Federation in these districts are forced to import fuel and to incur additional transportation expenses. Tax deductions are determined by the level of world prices for Russian oil Urals (applications 1, 3). Export duties: at an oil price of 20 to 25 $/bbl. rate of 45%, while the price of oil more than 25 $/bbl. - 65%. With 1.08. 2006 Velina export duty is 216,4 dollars/t (approximately 29,13 $/bbl) 1.10. 2006 237,6 dollars/t (about 32 $/barrel). Operating since 2004, the procedure of customs-tariff regulation of export deliveries of oil and oil products law are also tied to world market prices for oil and growth from 2002 to 2005 was oil – 8.5 times, on light oil products – by 3.9 times. The interdepartmental Commission on protective measures in foreign trade and customs-tariff policy of March 2005, a new procedure of determination of the rates of export customs duties on oil products: there is a differentiation in the rates of customs duties on oil products "light" and "dark" with "dark" petroleum products the rate of customs duty is lower than "light". The chart presents typical structure total price of Russian oil on different components (According to L. feodosiev-side - the head of Department of restructuring of the gas and oil industry MEDT, 2006). The chart presents data on the dynamics of Brent oil since 1984 On the chart at constant prices 2004 (recalculated for core inflation) clearly visible 2 of the 1986-1988 recession (crisis in the Soviet Union) and 1998 (default). Already visible features of the next crisis. Currently Urals trading at a discount of about 2.5$/bbl relative to Brent. According to V. Alekperov (01.09.2005), the slow pace of exploration in new regions of the country together with the concentration of exports in the European direction lead to an increase in the price differential between Russian Urals and Brent oil benchmark, traded at the London oil exchange. For several years this difference amounted to $1-2/barrel, but recently it has increased significantly, by the end of 2004 reached us $5/barrel. The total volume lost as a result of budget revenues according to different estimates, ranges from 3.5 to 5 billion $ per year. Urals have appeared on the international oil market in the 70-ies of the last century. Today, as 30 years ago, it is a mixture of light crude oil from fields in Western Siberia (Siberian Light) and heavy sour crude oils from fields of the Urals and the Volga region. Qualitatively, the Urals grade is significantly inferior to the Brent grade: sulfur content in the first case is 2.5%, the second 0.4%, and density, affect the level of output of light petroleum products, API 32° API and 38°, respectively. As a result, the value of petroleum products produced from one barrel of Brent oil, 3.9-5.1 million. higher than produced from one barrel of Urals oil. In the medium term to solve the quality problem of Russian oil, for export, by improving the characteristics of the Urals (lower density and sulphur content). High-sulfur oil is about 14% of the total volume of raw material, rent of the Russian oil companies into the system of trunk oil pipelines. Currently the main suppliers are the enterprises of Bashkortostan, Tatarstan and Udmurtia. Mo the opinion of experts, the first step to improving the quality of oil mixture Urals could be the introduction of Bank of quality of oil. 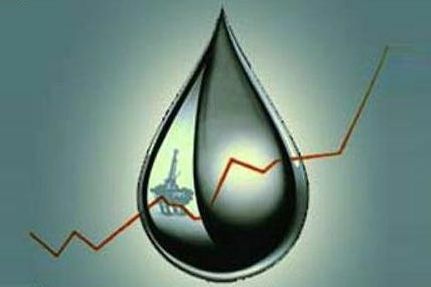 By itself, the quality Bank is unable to improve the performance of the export mix, however, through a system of offsets it stimulates enterprises to pay more attention to the preparation of oil before putting in pipelines, and also increases investment attractiveness of oil fields containing light sweet crude oil. Currently Russia's main oil production is concentrated in Western Siberia; they extracted the most easily accessible oil in the Russian Federation. Russia is emerging from a period of cheap cost of oil production. Traditional fields are strongly developed (sometimes over 80%). The cost of production at new fields in 2-3 times above, than on traditional territories. Today the cost of production in Western Siberia — 5 -6 $. In Eastern Siberia up to 15$. On the traditional grounds of rising costs associated with their depletion, new on — the growth of costs associated with poor infrastructure, climatic and geological features extraction. Raw material base of Russia is in poor condition. The reserves of Western Siberia developed in 45%, the Ural-Volga region 50-70%, North Caucasus – on 70-80%. Over the past 20 years, the average yield of wells fell from 26 to 8 tons per day. Increases water content of oil, rising operating costs at its prey. The annual gain of stocks is not more than 85% of the production level. Over the past seven years in Russia saw no new large deposits, which in development can compensate for production decline in the older parts. The sharp growth of oil production, occurred in the early part of this decade, was tied in 1st place with increasing rates of selection of reserves from existing fields. Unfortunately, it was accompanied by the decline of the oil recovery factor. Today in the development of Russian deposits removed about 30% of proven reserves. 10 years ago the figure was 50%. Marginal wells that comprise a quarter of the Fund, preserved. In some companies the share of idle wells reaches 40-60%. Oil production in new regions of East Siberia, in the Northern Timan-Pechora region, on the continental shelf – is about 5 million tons (1% of total production in the country). Despite favorable pricing, due to the lack of investment in new projects growth rates of production start to decrease: if in 2004 they accounted for 8.9%, in 2005, most likely, will not exceed 3.5%. The development of this trend in the coming year to bring about a stabilisation, and further to reduce the level of oil production in the country. Given the substantial specific weight of the oil complex in the formation of GDP and budget revenues, this may have a negative impact on the Russian economy as a whole. Insufficient investment in the development of pipeline system of Russia hampers the diversification of exports of Russian oil. More than 90% of raw materials, our country is still, as in Soviet times, supplies to Europe. The growth pace of deliveries in recent years outpaced the growth of oil production in the country. The only major project recently – the construction of the Baltic pipeline system is also designed to supply the European market. Domestic companies limited by capabilities of the Turkish and Danish Straits, have no access to global markets. Russian ports capable of loading tankers with a maximum deadweight of 100 thousand tons in the North of Europe and 140 thousand tons in the South, while deliveries to the markets of USA and South-East Asia is economically feasible when the value of the party of 250-300 thousand tons. Oil transportation by rail on a number of economic and technical reasons cannot be considered an alternative to pipeline gas exports. The surge of interest in the possibilities of the Russian Railways came in 2002-2004, when prices for Russian oil exceeded $ 25 per barrel. However, already this year he has significantly weakened: because of rising export duties, the profitability of supplies to the domestic market exceeded the profitability of railway exports. 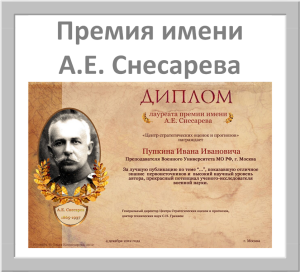 V. Alekperov data from 01.09.2005 G.
In the case that the degree of depletion of reserves of a specific subsoil plot as determined using the direct method of accounting the quantity of produced oil on specific subsoil plot, exceeds 1, the KV coefficient shall be taken as 0.3. In other cases, the coefficient KV shall be taken equal to 1. The figures represent the value of tax payments (in $/barrel) and the amount of tax (in %) for Kin = 1 and the mean mass of 1 barrel of Urals = 134,62 kg. For Russian oil mineral extraction tax is a progressive tax. In 2006 its value was 18-18,5%. Thus, the main parameter determining the amount of tax on Russian oil production, is its price. Annex 4. Problems of oil refining in Russia. Today, the Russian oil refining is 60 — 70% wear. Most of the factories built during the great Patriotic war. The structure of the processing means 60% of the output of heavy oil, 10% gasoline and 30% diesel. Processing is set up to produce what is in demand, what demand is. Our gasoline is not desired on the world market. European standards exist for the emissions of internal combustion engines, such as Euro-1, Euro-2. Russian gasoline to these norms is not responding. Today we stretch to reach Euro-2. This is largely due to our demand: 80% of production — what you need the Russian economy. Tractors in agriculture, municipal services, industry. However, the Russian oil and diesel fuel demanded by the global market, but they are not consumed as fuel and as raw material for further processing. The necessary incentives for the development of oil refining, improving the efficiency of Russian exports through the production and delivery of products with high added value.